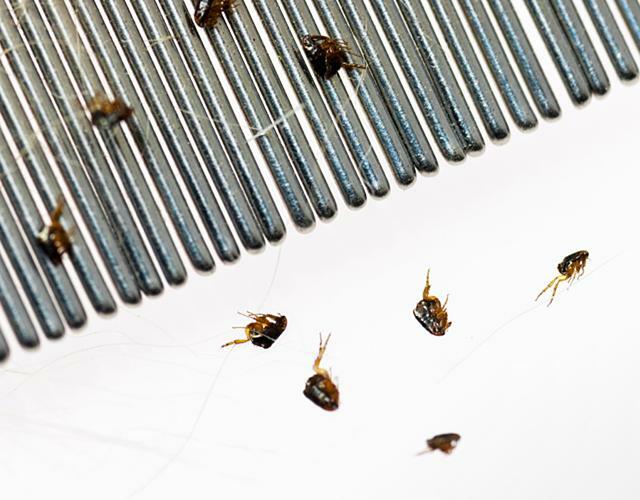 Don’t Flee from Fleas: Get Tips from Lloyd Pest Control Services Ltd. Remove all items from lower shelves of closets and floor areas of bedrooms, linen, and any other storage spaces within the home. Vacuum and wash floors before the treatment. Empty the vacuum bag after use. Pull all furniture and appliances at least one foot away from the walls in order to give our technician access to the baseboards throughout your home. Keep in mind we are trying to treat as much floor area as possible, so pick up plants, magazine holders, footstools, etc. Please do not place these items on top of your upholstered furniture, as we do an air treatment and we need the product to flow freely to these areas. All windows are to be closed prior to the treatment. All adults, children and pets (including birds, etc.) are to be away from the home for a minimum of six hours after the treatment time. Any aquariums/fishbowls are to be unplugged and covered over. Any occupants with asthma, children under two years of age or pregnant women should remain out a minimum of eight hours. If you have pets, you should either coordinate an appointment at the groomers or get a good quality shampoo and/or spray and treat the animal the same day as the service or see your veterinarian for the latest in ongoing flea control alternatives. If you choose, you can air out your home by opening all windows and doors for 5 to 15 minutes. Use a fan to help circulate the air if possible. The odour will not harm you in any way, but it is something you are not used to. It will lessen within 24 to 48 hours. Do not wash or vacuum floor surface areas for at least three weeks. Activity will be seen. Do not panic; this is normal and must occur. Fleas will emerge from the egg state subsequent to our treatment. This must happen, will happen and cannot be prevented from happening. No chemical penetrates the protective shell of the egg. Therefore, once they pop out, they will come in contact with the material at that time. Report any activity noted beyond one month from the time of treatment to Lloyd Pest Control Services Ltd. in Oshawa by calling 905-436-0111 or 1-866-576-6177.